I made several different background papers over the last few months and somebody said they were needing one, so I decided it'd be best to pack up everything and offer it to you all. They're all tagger sized. 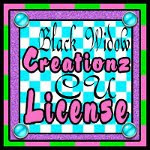 The image above is a pack of 4 greyscaled animal patterned papers and 4 colored (pink, purple. red and turquoise) papers, which you can find in stores that I sell my CU stuff at. Below is the preview of the freebie I have for you. It's a greyscaled seamless animal print paper with a red one too. You can download your copy of this file HERE. Do not claim as your own, do not reoffer or share, just direct people who'd like this also right here to the blog post to download it for themselves, please.